Here’s my list of the best pregnancy books for a healthy and mindful pregnancy! It goes without saying that becoming a parent for the first time (or even the second or third….) is a major life event. It truly changes everything – your family dynamic, your personal life, your daily responsibilities, and how you think about and view the world. Not to mention, parenting does have a steep learning curve! We all have our natural instincts, and while I think it’s important to follow your gut and trust yourself, I also believe in the power of being prepared. So, don’t try to wing it too much. It’s important to soak up information and get expert opinions on topics you may not know much about. And, parenting falls into that bucket for most people. So I’ve rounded up the must-have pregnancy books, as well as good reads for expecting fathers and older siblings. 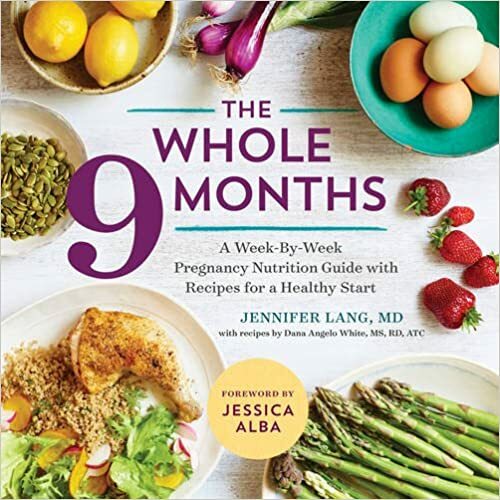 The Whole 9 Months: A Week-by-Week Pregnancy Nutrition Guide: A wonderful nutrition guide for pregnant mamas, The Whole 9 Months includes recipes and advice for a healthy pregnancy. Written by an OB/GYN, the book also contains practical nutritional advice, such as what to eat to reduce nausea and boost your breastmilk production. The Mindful Mom-to-Be: Written by doula-to-the-stars, Lori Bregman, this is a wonderful book to read during pregnancy because it helps mentally prepare you for becoming a mom. And since it’s written by a doula, you can count on her holistic approach to caring for women during pregnancy. I highly recommend this book for all pregnant mamas! Expecting 411: The Insider’s Guide to Pregnancy and Childbirth: This is a handy reference book that contains a lot of the common questions that most women have during pregnancy. My OB/GYN first recommended this to me, and I found it very useful. I recommend the Kindle version instead of the print version, though, because the print version comes in a really awkward size/format. 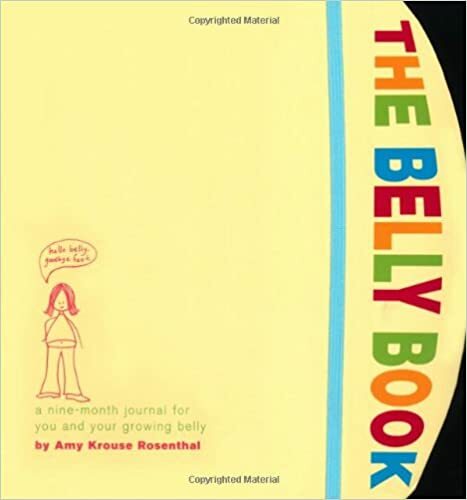 The Belly Book: A Nine-Month Journal for You and Your Growing Belly: This is the best pregnancy journal I have come across! And I think it’s really nice to document your pregnancy (at least the first one). It gives you and your baby something special to look back on as they get older. I also recommend writing letters to your baby, whether in a journal or on notecards. I am doing this and plan to give an old-fashioned leather journal full of letters to my kids when they leave for college. Ina May’s Guide to Childbirth: Giving birth comes with so many unknowns that it can be quite intimidating – for both new and experienced moms. While the ultimate goal is for both mom and baby to be healthy after birth, the labor and birthing experience itself shouldn’t be overlooked. What I love about Ina May’s book is that it contains dozens of first-hand stories of labor, many of which are extremely positive experiences. If you’re hoping for a peaceful or even natural birth, or if you’d just like to destigmatize the birthing experience, I highly recommend this book. The traumatic and stressful images of giving birth that we see in the movies and on TV can truly set the wrong expectations, and it’s really important for pregnant moms to know that giving birth doesn’t have to be that way. You Made Me A Mother: This is one of the best books I have ever come across for new moms. It’s so beautifully written and captures the true emotion of being a mother that I think it’s an absolute must-have for every mom! It also makes a great baby shower gift. 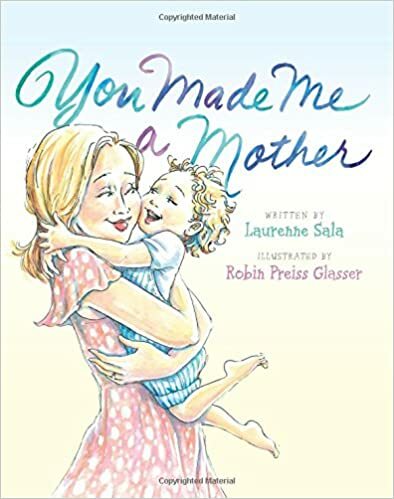 Written by Laurenne Sala, You Made Me A Mother is a treasure of a book for expecting and new mothers. Highly recommend! The Name Book: Over 10,000 Names: This is a great resource for finding baby names and learning their meaning and origin. The Life-Changing Magic of Tidying Up: The Japanese Art of Decluttering and Organizing: If you haven’t already read Marie Kondo’s quirky book about organizing, you may want to pick up a copy before you start nesting. It’s a wonderfully unique approach to decluttering and living with less “stuff”. I didn’t follow her suggestions exactly as outlined, but I found her approach to decluttering (and to throwing things away) to be liberating and life-changing, as the title claims. Highly recommend! And Baby Makes Three: The Six-Step Plan for Preserving Marital Intimacy and Rekindling Romance After Baby Arrives: Written by Dr. John Gottman, a Seattle-based psychologist who has focused years of scientific study on marital relationships, this is a must-have resource for any first-time parents. Having a baby is a major life change, and it’s helpful to have some research-based insight beforehand about how these changes can play out in your marriage. 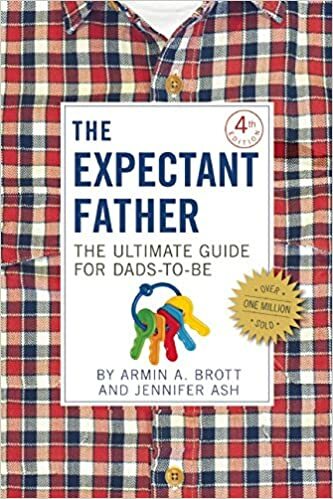 The Expectant Father: The Ultimate Guide for Dads-to-Be: Let’s not forget that becoming a father is also a major life transition. And it might be helpful for your husband or partner to know that he’s not alone in this craziness that is pregnancy and parenthood. 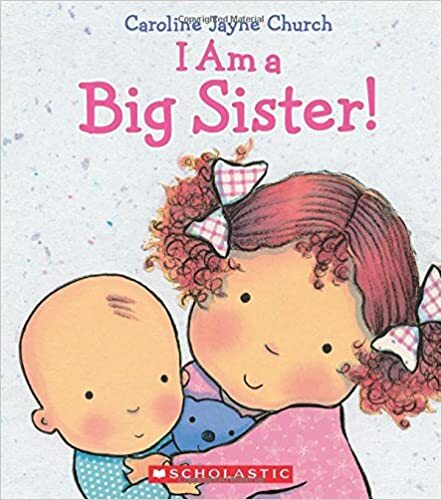 I Am a Big Brother (or I Am a Big Sister): To help your little one(s) prepare for the new baby, consider buying them a book that talks about becoming a big brother or big sister. We are big fans of the author, Caroline Jayne Church, and love her adorable illustrations and wonderful writing. 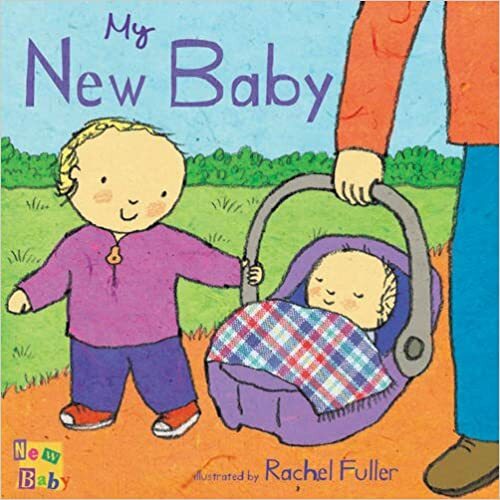 Big Brother Daniel: If your little one is a fan of Daniel Tiger’s Neighborhood, you may want to buy this book to introduce the topic of a new baby. 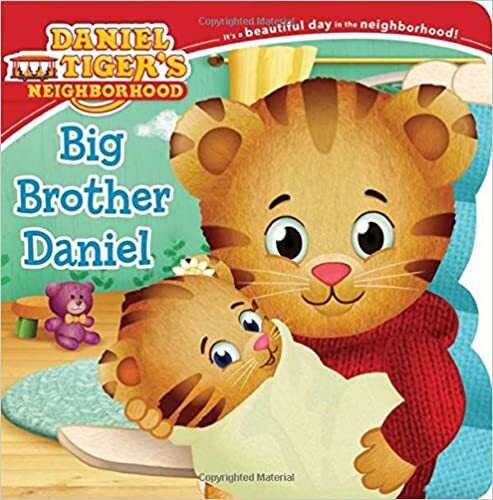 In season 5 of Daniel Tiger’s Neighborhood (PBS) (which is available for free streaming with a Prime membership or free trial at the time of publishing), the first two episodes focus on introducing Daniel’s mom’s pregnancy and his little sister, Margaret, that I find nice and instructional for children. 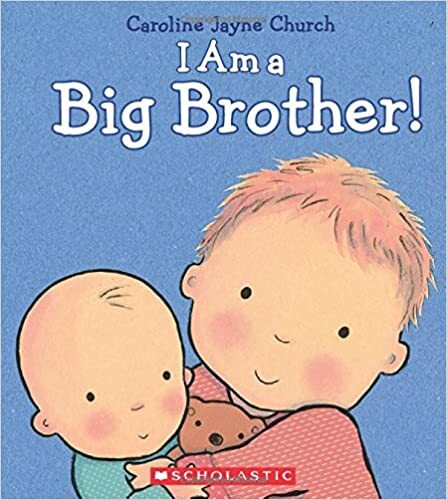 My New Baby: This is another popular book for introducing a sibling to their new baby brother or sister. Wondering where to create your baby registry? I recommend registering with Amazon for the widest selection of natural and non-toxic baby products, best prices, fast shipping, and excellent customer service. Create your Amazon Baby Registry now!